Graeme has worked at the RSPB for 15 years, and has input to spoon-billed sandpiper work since 2009. He is happiest outside in the field but his job, using remote sensing and GIS data, sees him tied to a computer in an office most of the time. 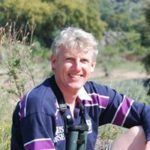 He has undertaken spoon-billed sandpiper surveys on the Gulf of Mottoma in two winters; something which he lists among the highlights of his 15 years at RSPB. 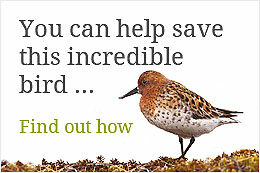 His particular interest is identification and monitoring of spoon-billed sandpiper habitats from remote sensing. When not at work he can be found outside, birding or riding one of his fleet of bikes.